I just wanted to share with you the fantastic achievement of our U12 Girls today. 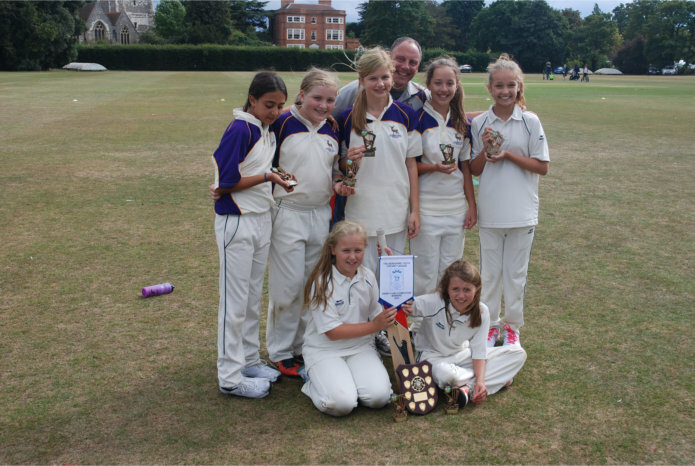 Our ‘Does’ side won the U12 Girls Berkshire County Championship, held at the club. The format was 6-a-side, playing 9 overs per side (Barrington rules). They played a round robin tournament against West Ilsley, Wokingham and Henley for the Gold Award. The top two then went into the County Final, where we beat West Ilsley by 22 runs. This is a magnificent achievement. Our U12 ‘Roo’s came third in the Silver Plate competition, playing teams from Thatcham, Reading & Finchampstead, the eventual plate winners. 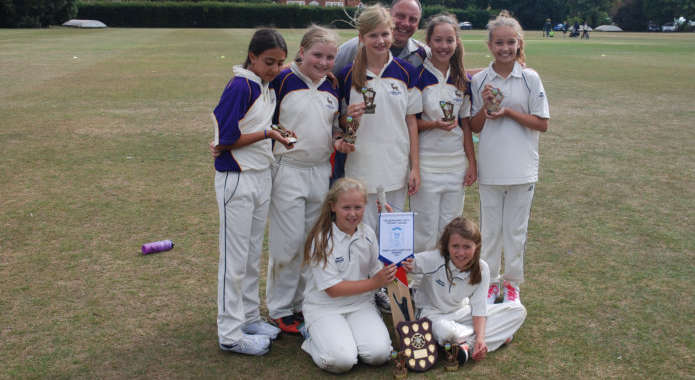 This all bodes incredibly well for next season and we should all be extremely proud of their development, having only started Girls cricket last season. My thanks to all the coaches and parents that have helped out with the Girls this season. A very big thank you to Charlie, who has been ever present with me on Monday evenings. Also, thanks Charlie for today – a brilliant tournament with eight sides (six visiting) playing across 4 pitches on the main ground. Thanks also to Tony, Max and helpers in opening up The Pavilion and serving coffee, bacon rolls etc. to our guests. Everyone was very impressed with our set up.